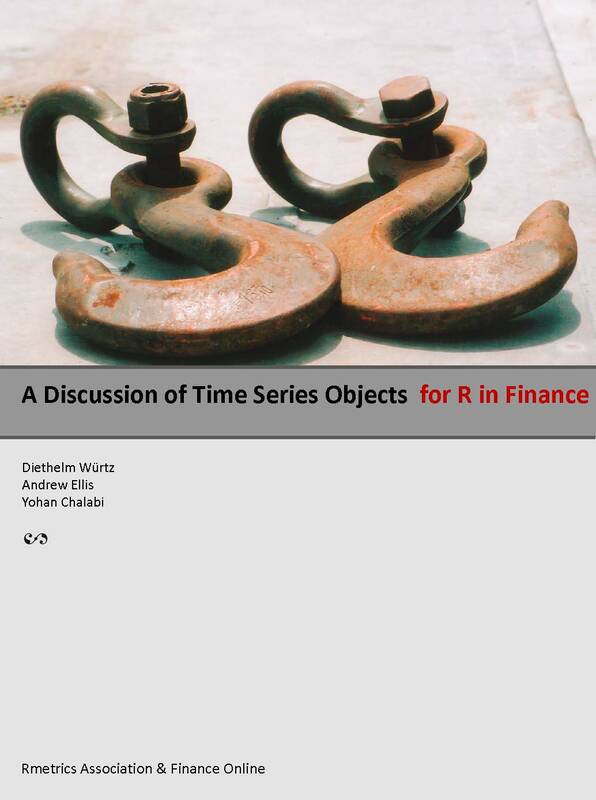 Are you working with R and Rmetrics in the field of finance? Then you will usually use either xts/zoo or timeSeries/timeDate as your preferred time series package of functions and methods to create and manage financial time series objects. Often you may have asked yourself how certain functions in one time series package compare to their counterparts in the other package. Does a given function from one package have an equivalent one in the other packages and if yes, what are the specific differences. In which sense do functions behave differently when you work with the xts/zoo package or with the timeSeries/timeDate package. This ebook tries to answer any questions you might have about these issues. For each question you will find an answer together with a generic example. In some cases, the answers are still incomplete, or even missing. In other cases, we not yet found a typical example. We are counting on your support to keep this FAQ up-to-date. We would also very much appreciate it if users and developers of the packages under discussion would send us further FAQs together with the answer, for inclusion in this ebook.